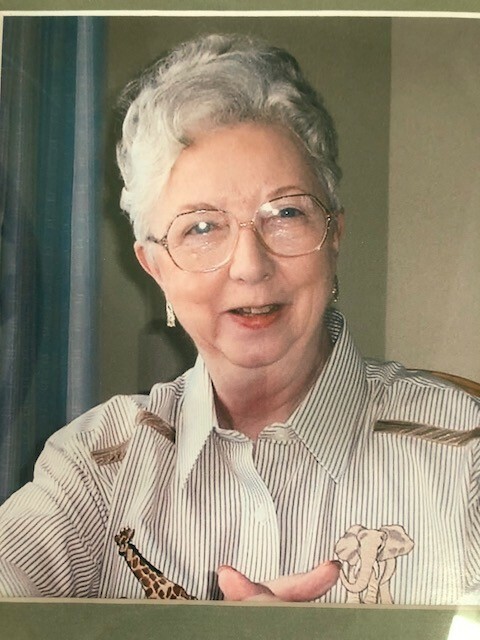 Obituary for Jane A. Echols | DellaVecchia, Reilly, Smith & Boyd Funeral Home, Inc.
Jane A. Echols, 86 of Cape Coral, FL, formerly of West Chester, PA died on July 27, 2018 peacefully surrounded by her family. Jane was born February 4, 1932 in Coatesville and was the daughter of the late William John Clifford and Mary Clifford McKelvey. She was the wife of the late Paul A. Maccinile and the late Champ W. Echols and is survived by her children, Pamela Birge and William Todd Echols. Jane graduated from West Chester High School in the class of 1950, and attended the Linden Hall Junior College, Lititz, PA and Hedgerow Theater School, Media PA.
She was the purchasing agent for the Clifford Nursing Home in West Chester, PA until it closed in 1970. Afterwards she lived in Papillion, NE with her second husband and children before retiring in Cape Coral, FL in 1975. She enjoyed traveling the world with her family and was an active member of her community at all stages of her life. Relatives and Friends are invited to her Graveside Service on Friday, September 7, 2018 at 11:00AM at the Philadelphia Memorial Park, 124 Phoenixville Pike, Frazer, PA 19355.